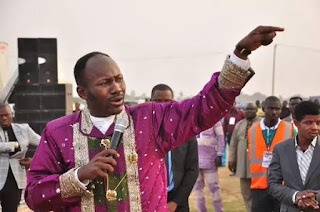 Omega Fire Ministry's founder, Apostle Suleman is in the news again. This time, it is not about Miss Otobo, but about one of his teachings concerning the mother of the Biblical King David. During a recent sermon at his church, he said David struggled in his life because his mother was a prostitute. The cleric justified this comment by quoting the book of Psalm, where David said, “in sin did my mother conceive me. He went on to say: “When the father was asked for the children to be around it was only seven boys he brought? why? Those were the seven boys from one woman, David was from a Harlot, the mother of David was a harlot.